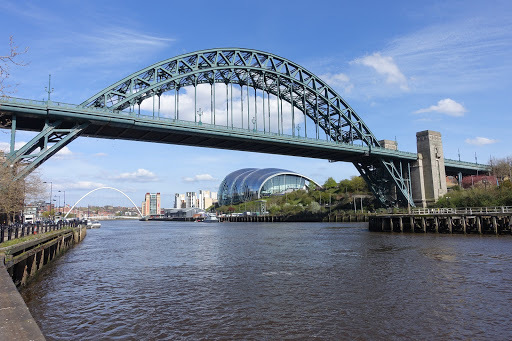 Few cities can claim as many architecturally-distinctive bridges as Newcastle on Tyne. 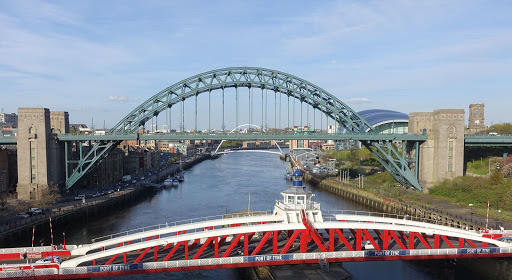 A photograph taken from the High Level road and rail bridge of three of the bridges that connect Newcastle to Gateshead. 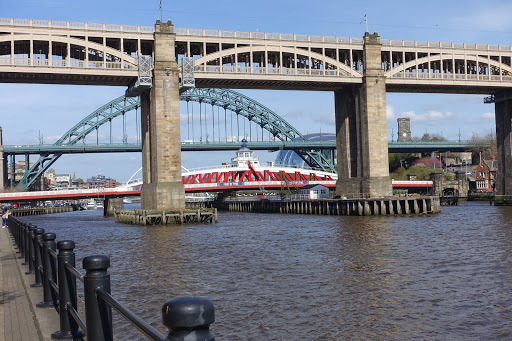 They are (foreground) the Swing Bridge constructed 1873-6; (middle) the Tyne Bridge constructed 1926-8 and (background) the Gateshead Millennium Bridge constructed 1998-2001. The Sage Gateshead can be seen to the right of the latter. A photograph taken from the opposite direction towards the Tyne Bridge. The High Level Railway Bridge can just be made out at the back. The High Level Bridge, opened in 1849. The other bridges can be seen in the background. 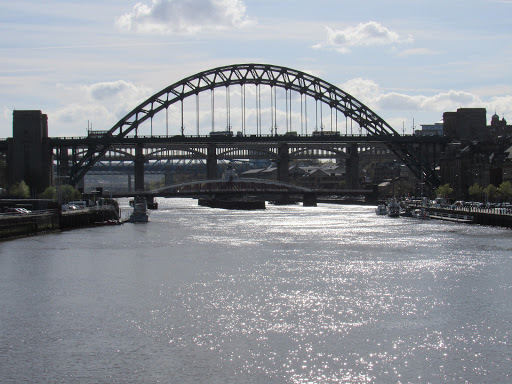 A closeup of the Tyne Bridge. 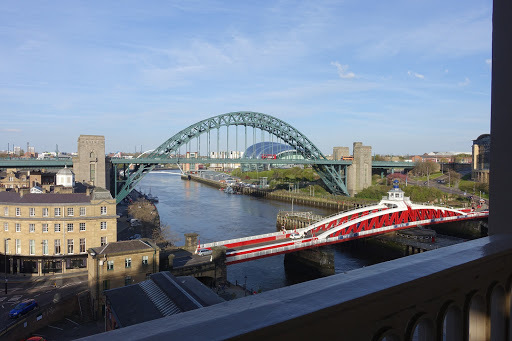 The Swing Bridge and Tyne Bridge, as viewed from the High Level Bridge.